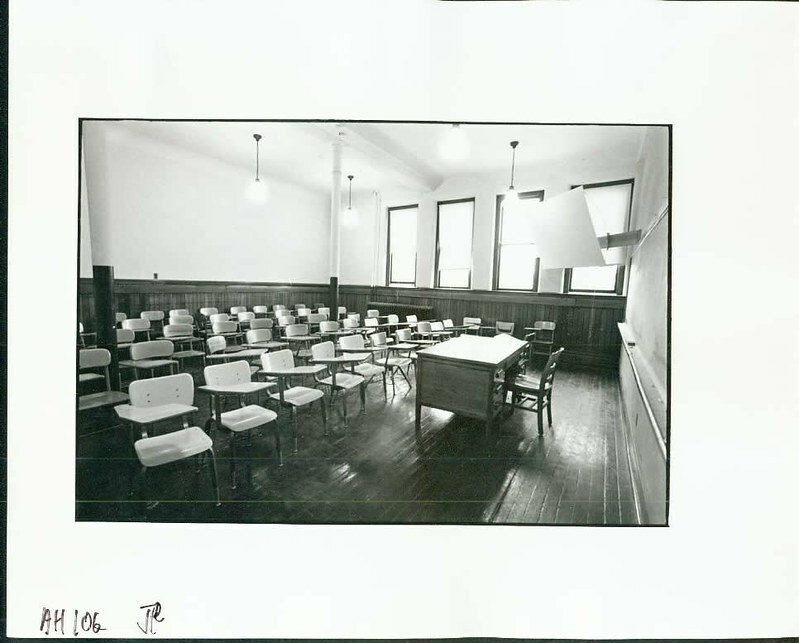 For those who did not experience Alumni Hall, it’s hard to imagine what a typical classroom looked like when the sides of the building used as classrooms currently look like this. This photo dates near the end of Alumni Hall’s tenure as an academic building, the 1970s. At this time, the foreign language department, the art department, the philosophy department, and a few other humanities classes had called these classroom spaces home. 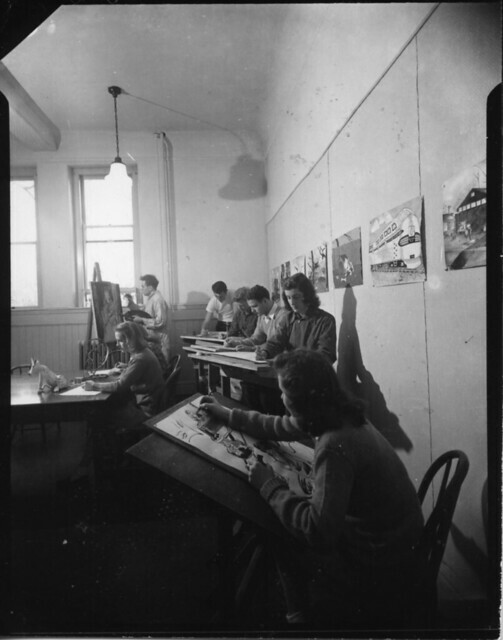 We are judging this shot to be from sometime in the 1940’s, when the first floor of the Gnothautii side of the building was used as an art studio. Students looking to go to the Gizmo had to walk through the art studio to get to the snack bar in the basement.